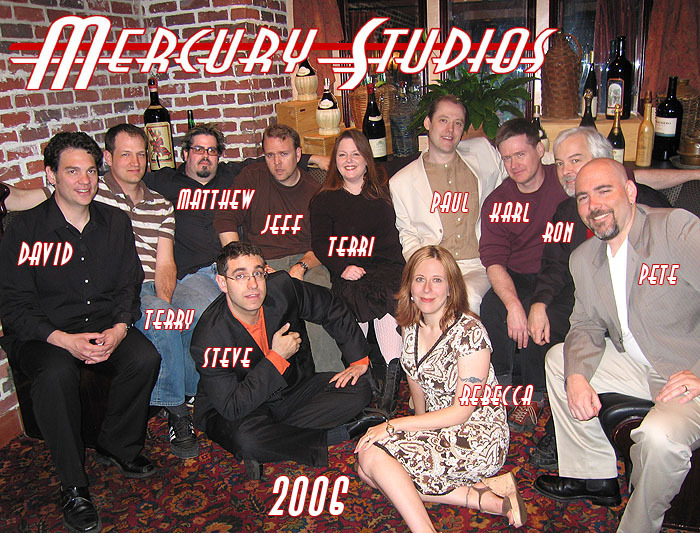 The studio has moved, expanded and renamed itself as of June 2007. Check the PERISCOPE STUDIO site for more info. Here's snapshots from the new studio's housewarming. Here's snapshots from Periscope Studio's first wedding. Here's snapshots from a Periscope Studio birthday party. SUPERMAN, BATMAN, WONDER WOMAN, FANTASTIC FOUR, and SPIDER MAN! Never before in the history of comics have all these characters been drawn by members of the same studio--truly an historic achievement! FUN FACT: Everyone here has worked for DC Comics at one time or another! We have over a dozen pages of photos--check 'em out! BY SAILING ON A 19th CENTURY SHIP! 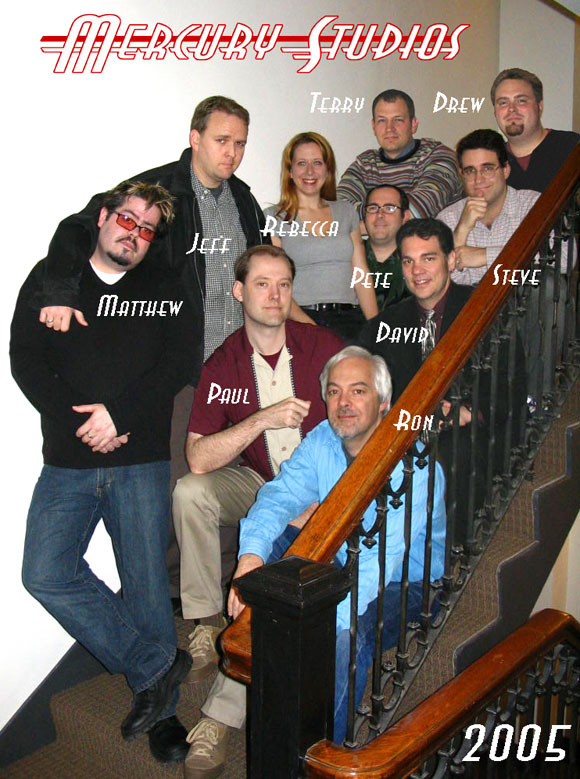 Here is the official 2005 studio portrait.